The “DS” etiquette has become a brand in its own right and has come to symbolise a French lifestyle in which luxury and innovation go hand-in-hand. Nearly two years ago, Citroën, cut the umbilical cord with DS. Initially designed to create a parallel range of premium vehicles, the models that make up the DS family are now part of a new brand in its own right. Featuring its own stamp, the DS range aspires to breathe new life into French prestige, combining finesse and innovation. Those two magic letters were first introduced at the Paris Motor Show in October 1955. When it was unveiled, Citroën’s new saloon car immediately condemned its rivals to antiquity. Its style was revolutionary and futuristic, and the technology it featured really pushed the envelope. The vehicle's lines were disconcerting. It featured smooth sides, a plunging bonnet, and no radiator grille. The car's rear receded over the streamlined rear wheels, while its expansive windows were separated by thin uprights. Its bodywork incorporated new materials – such as plastic – alongside aluminium alloys. The avant-garde nature of the DS was also very much in evidence in its technology. It featured a new hydro-pneumatic suspension system designed to maximise comfort and vary ground clearance, together with hydraulic power steering, braking and gearbox systems. The passenger compartment shocks with its unusual dashboard, its single-arm steering wheel and the generous space at the rear. 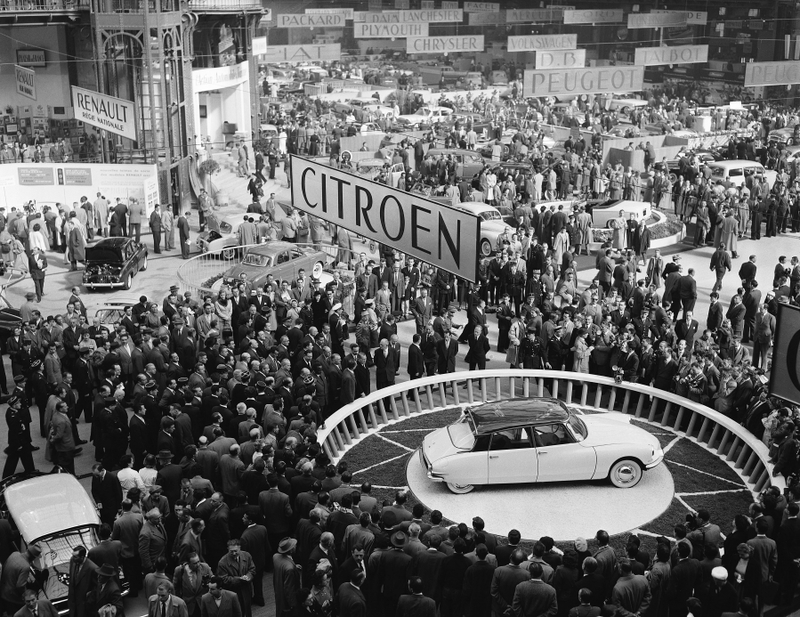 On 7 October – the day the show opened to the general public – Citroën pulled off something of a coup. In only a quarter of an hour, 749 vehicle orders were placed. This number had reached 12,000 by the end of the first day. Members of the public jostled around the bay in which the vehicle was on show. The DS even featured on the cover of Paris Match with Gina Lollobrigida at the wheel. 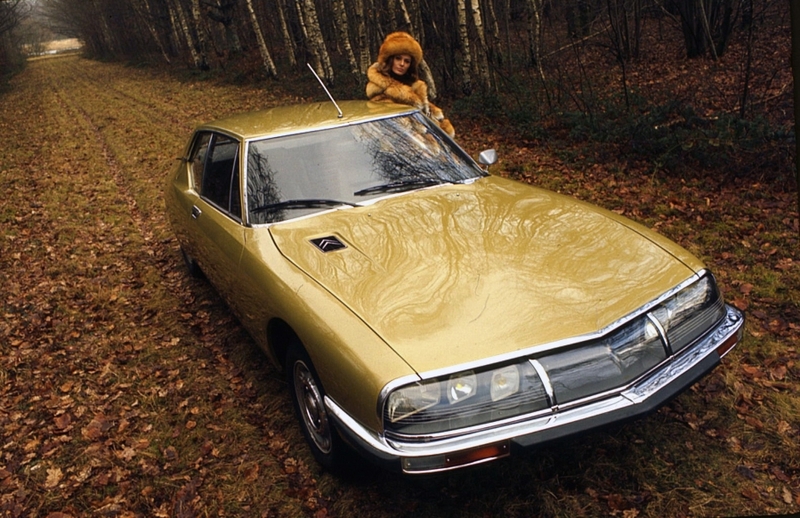 The two-colour schemes used on the DS 19 were also all part of its bold approach: country-roof aubergine, greyed anise-blue, yellow ivory-chick, etc. Over the years, new finishes have been added, further raising the DS’s status. The Pallas finish was unveiled in the mid-1960s. The DS range was rendered substantially more sophisticated in October 1969 with the introduction of Bosch electronic fuel injection on the DS 21. And all this time, behind-the-scenes, engineers were putting the finishing touches on a super DS. This new model was the star of the 1970 Geneva Motor Show and was released as a 2+2 grand touring coupé. The press heaped praise on it. The new vehicle was introduced as the Citroën SM and according to Automobile magazine was "20 years ahead of its time". The SM was to the DS what the Concorde was to a Cessna. As well as featuring many of the technologies used in the DS, the luxury coupé was built around a 90° V6 engine. The result of Citroën’s acquisition of Maserati in 1968, this double overhead camshaft engine could deliver 180 hp. It could push this large coupé (one copy of which is on show at Rétromobile with a gold tint finish that is identical to the one first unveiled in Switzerland back in 1970) up to a maximum speed of 220 km/h. To date, the SM is still the last prestige coupé to come out of France. In the shadow of Henri Chapron, this northern French dealer who specialised in preparing Citroën models called upon Italian car bodybuilder Pietro Frua to create a coupé based on a DS. Visitors to the 1960 Paris Motor Show discovered a car that was 47 cm shorter and 17 cm closer to the ground. One of the most distinguishing traits of the GT 19 was its spoiler tail wings and its panoramic rear window. Only 12 units were produced between 1960 and 1964 – most likely because of the high costs involved in transforming them. 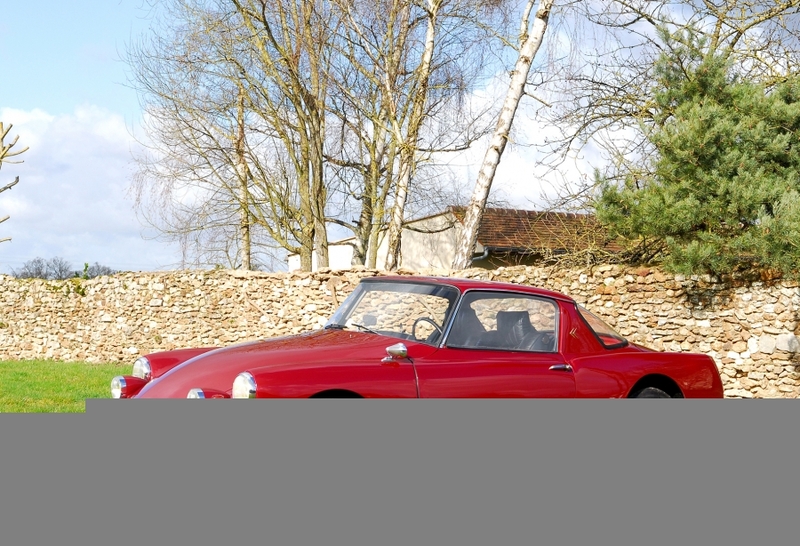 The 1963 model on display at Rétromobile is most likely the only surviving example of this short-lived series. Bossaert also created two DS cabriolets.